Thank you for your interest in Dogtopia! We are delighted that you are considering our brand as a business opportunity! 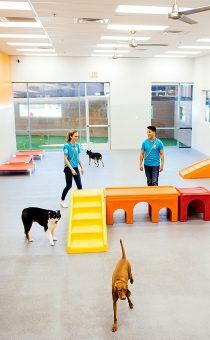 Wondering what we look for in a Dogtopia franchisee? 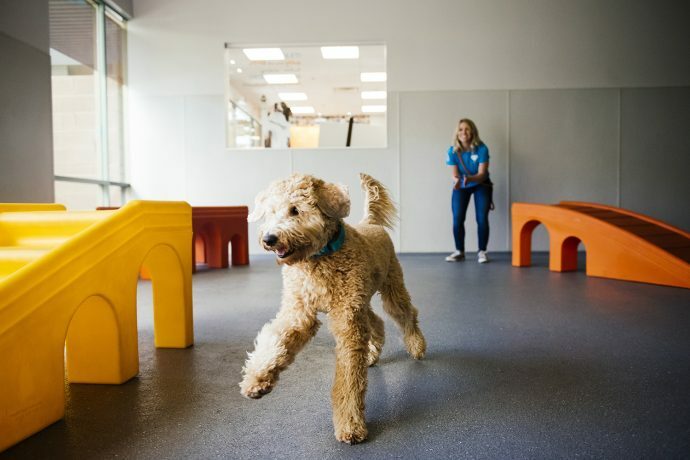 While dog-related experience is not required, the ideal candidate should have an entrepreneurial spirit, as well as sales, marketing, restaurant and/or retail experience. If you meet the financial investment criteria, have transferable skill sets and experience, and are interested in proceeding to next steps, please apply now. One of our Franchise Development Representatives will reach out to you within 24 hours to discuss your goals and help you determine if we are a good fit for you. WHAT ARE THE STEPS TO OWNING A DOGTOPIA? During your first call, you will further discuss the Dogtopia opportunity and cover a few topics, including your motivation, business background and territory of interest. We will be happy to answer any additional questions you have. Get approval and pre-qualified for financing. Upon approval of your application, you will receive our Franchise Disclosure Document. The FDD further defines the relationship between us – the Franchisor, and you – the Franchisee. 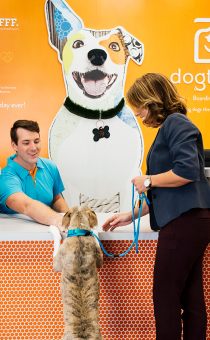 It contains all of the legal responsibilities involved in owning a Dogtopia as well as a copy of the actual Franchise Agreement you will sign. After receiving and reviewing your FDD, your representative will schedule a time to go over any questions that you may have. Explore the Dogtopia opportunity up close. See the brand, meet the company’s key executives, tour a location, meet a franchisee and learn about our brand and what makes our franchise work. Speak to existing franchisees about their experience. Upon mutual approval to move forward as a new Dogtopia franchise owner, you will sign our franchise agreement.